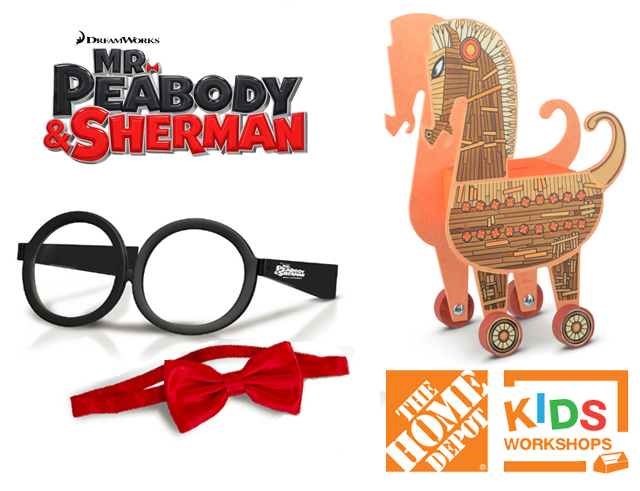 Mr. Peabody and Sherman hits theaters March 7th and in honor of its release, Home Depot is The Home Depot offers free workshops for do-it-yourselfers of all ages and experience levels. And Cincomom is offering a Prize Pack to see the movie! Build a Trojan Horse Bank from the new DreamWorks animated film, “Mr. Peabody & Sherman”, coming in March, 2014. 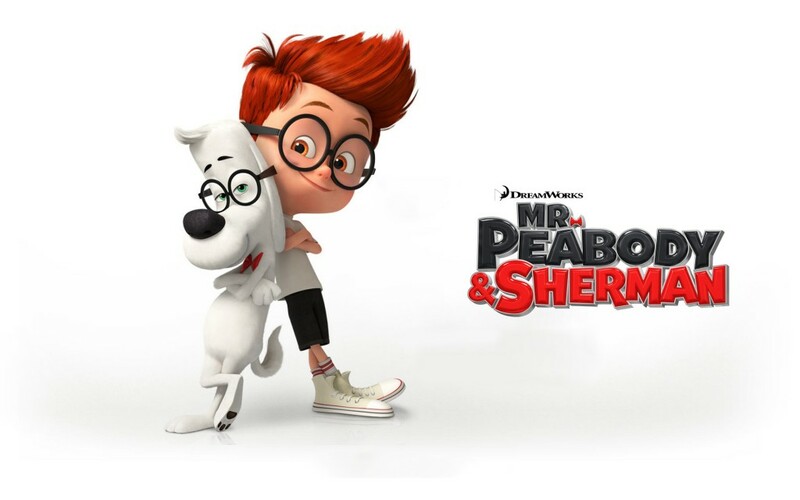 Mr. Peabody (voiced by Ty Burrell, Emmy Award® Winner –Modern Family), the most accomplished dog in the world, and his mischievous boy Sherman (Max Charles –The Amazing Spiderman), use their time machine—the WABAC—to go on the most outrageous adventures known to man or dog. But when Sherman takes The WABAC out for a joyride to impress his friend Penny, they accidently rip a hole in the universe, wreaking havoc on the most important events in world history. Before they forever alter the past, present and future, Mr. Peabody must come to their rescue, ultimately facing the most daunting challenge of any era: figuring out how to be a parent. Together, the time traveling trio will make their mark on history. I love Mr. Peabody & Sherman. Since I already follow you that was easy. Diva is wanting to see this. I can’t wait for Mr. Peabody and Sherman to come out. I remember watching the cartoon as a kid.